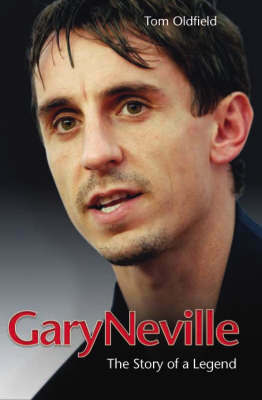 Gary Neville is one of Manchester United's most experienced players, making his senior debut for the club in the UEFA cup in 1992, he has worked the right side of Old Trafford tirelessly for the past 14 years. Starting at the club as a schoolboy in 1991, he quickly cemented his position in what would prove to be Alex Ferguson's strongest ever team. Going on to help the side win the treble in 1999, Neville was a key part of the only English team ever to have achieved this remarkable feat. His determination in the tackle and consistency of passing, coupled with a turn of pace sufficient to keep up with the quickest strikers in the premiership have contributed to him making over 500 appearances for his club and 80 appearances for England where he has proved time and time again that he can compete with the world's top players. Taking over the captaincy from Roy Keane in the 2005/6 season, his commitment and hunger to bring silverware to Old Trafford has never been greater than it is now. Rarely injured, he is one of the club's most stalwart defenders. His famous long throw-ins have rattled defences the world over, as has his link up play with his midfield counterparts. On the pitch, he displays a 'never say die' attitude which has earned him respect from fans and from time to time admonishment from the F.A. This book tells the story of how something as simple as love for a football club turned a young boy into one of the most recognisable faces in world football.